I posted this message before but this morning thinking of the upcoming Easter holiday, I revisited this thought. The old is gone and the current is here, and the future is unknown so we can concentrate on making the day the best day ever and be open minded to necessary changes but maintain the oldies but goodies in life. GOOD MORNING! It is a brand new day and let’s start with a brand new way of thinking. Positive thoughts bring positive results. We have had enough gloom and doom for a lifetime. Where is the joy? Let’s start the parade of happy thoughts. Let’s put aside the negativity in this world. Look at the sunrise, watch a child play, follow a bird’s flight into the sky, imagine characters you see in the clouds, listen to the singing of nature and bask in life. I am feeling better already…..How about you? Positive thinking helps with stress management and can even improve your health. Practice overcoming negative self-talk with examples provided. Is your glass half-empty or half-full? How you answer this age-old question about positive thinking may reflect your outlook on life, your attitude toward yourself, and whether you’re optimistic or pessimistic — and it may even affect your health. Indeed, some studies show that personality traits such as optimism and pessimism can affect many areas of your health and well-being. The positive thinking that usually comes with optimism is a key part of effective stress management. And effective stress management is associated with many health benefits. If you tend to be pessimistic, don’t despair — you can learn positive thinking skills. Positive thinking doesn’t mean that you keep your head in the sand and ignore life’s less pleasant situations. Positive thinking just means that you approach unpleasantness in a more positive and productive way. You think the best is going to happen, not the worst. Positive thinking often starts with self-talk. Self-talk is the endless stream of unspoken thoughts that run through your head. These automatic thoughts can be positive or negative. Some of your self-talk comes from logic and reason. Other self-talk may arise from misconceptions that you create because of lack of information. If the thoughts that run through your head are mostly negative, your outlook on life is more likely pessimistic. If your thoughts are mostly positive, you’re likely an optimist — someone who practices positive thinking. 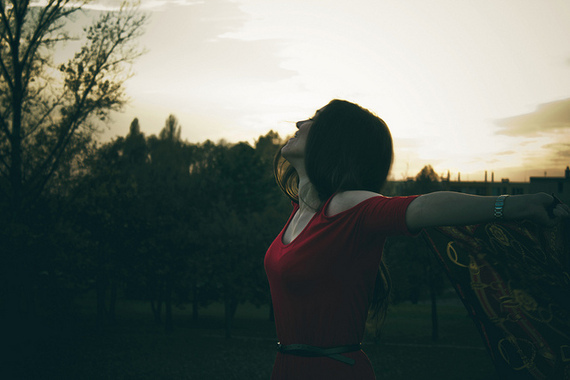 It’s unclear why people who engage in positive thinking experience these health benefits. One theory is that having a positive outlook enables you to cope better with stressful situations, which reduces the harmful health effects of stress on your body. It’s also thought that positive and optimistic people tend to live healthier lifestyles — they get more physical activity, follow a healthier diet, and don’t smoke or drink alcohol in excess. Even though we face a lot of obstacles, a positive attitude will keep us focused on the good things in life and not the good life busters that come our way. Always keep in mind, the memory of the deep sigh of relief when a tense moment or event is over and we move forward. Until we read again…..Arline Miller, blogger and positive thinker. LIVE LIFE; LOVE LIFE; AND LIVE LIFE TO THE FULLEST BY LIVING IT TO THE MAX. (C) Copyright 2012-2019 Arline Miller with all rights and privileges reserved. Third party material is sourced to original location for credit references. Photos are not exclusively property of Sipping Cups and sources if known are credited. 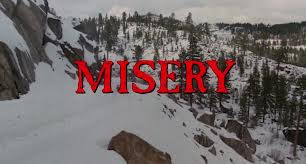 TODAY THE WORD is MISERY. Isn’t this a switcheroo? Miss Positive herself, is writing about misery. I was driving yesterday for several hours and this word came to mind about how people encourage misery in their lives. Why, you may ask, would anyone encourage misery since no one desires to be miserable? I don’t know if any of you watched the movie, Misery, with James Caan, Kathy Bates, that was filmed in 1990. It is a grueling story of how one fan became so obsessed with an author she kept him captive and made him write the next book. She subjected him to so much misery and pain. I see people who subjectively put themselves in misery and pain by the choices they make. Life throws people enough curves on its own without us making it simpler for life to cheat us out of the blessings that are meant to come our way. How is this possible for one to encourage misery as it seems more natural for us to want happiness, peace and contentment? For some reason, and it may be subconsciously hidden, I think people who have low self esteem crave attention and that opens some doors that should remain shut. Any attention is better than none; and therefore the problem manifests itself. The victim status comes into play. No one likes me; I am not pretty enough; I can’t find a job; my spouse doesn’t treat me right; I am too fat or I am too skinny; and on and on until the person starts believing they are a victim. I am a compassionate person but I say do not encourage “playing victimitis” when you hear someone make the comments seeking attention. True hardships as I was speaking earlier warrant our compassion while at the same time, compassion given to the attention deprived victim is harmful. In place of the compassion, give encouragement in the good things about the person to build the self esteem is my philosophy. Why add misery to misery by agreeing with a trivial whine? 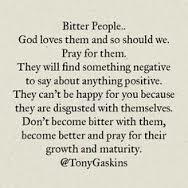 Could we try when someone says something negative, to say something positive? 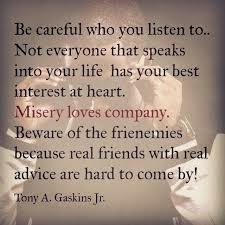 Misery loves company, so help that person out of their “misery status” to a more productive status. “I can’t find a job” may be an opening to “Where have you been looking” or “Have you tried there?” instead of “I know, you won’t be able to find a job in this town”. Happy people have bad days too: they just deal with them better. Don’t invite Misery in for dinner; it may never leave! 15 A miserable heart means a miserable life; a cheerful heart fills the day with song. 16 A simple life in the Fear-of-God is better than a rich life with a ton of headaches. (C) Copyright 2012-2019 Arline Miller with rights and privileges reserved. Third Party Material Sourced, if known for reference credit. Author sippingcupsofinspirationPosted on April 13, 2019 Categories Uncategorized2 Comments on MISERY LOVES COMPANY! As this year is producing another season for our sweet day lilies, our excitement is mounting. I thought I would pull up a prior post of our many varieties for anticipation for the delicate, short lived blooms. Each one has its own “personality” or flower power. As our 2019 crop blooms, I will assemble the pictures and I will post them later in the season. Enjoy the photos and the life lesson from them. WHAT IS IN A DAY……WHY A DAYLILY FOR SURE! My husband, Greg and I cut up and post Miller Garden Pictures but our “estate” is on a half acre but it is our home and we love to share the beauty of the flowers, plants, and butterflies. This year we didn’t have our hummingbirds or at least so far and they have been missed. What we missed in hummingbirds, we have made up in day lilies. I will not be able to post all of the day lilies we have but I wanted to share some photos and an excerpt from a flower in herself, Lynn Polk, who is an inspiration to all of us who are privy to receive her messages of love and hope. I saved her response when I posted some of our day lilies. When she was alive, found so much joy from her collection of day lilies and other plants in her little yard. She knew her day lilies by name and took pride when each one bloomed. She knew when to fertilize and when to cut them back. When it was time to thin the plants out, many of us stood by with anticipation of obtaining a few of her beauties. It was her giving of love when she shared her plants and she expected us to take as much pride and care as she had. We were asked to give updates on her babies. A lot of the photos you will see are from her yards and I can assure you Greg takes wonderful care as he feels Momma watches from her heavenly gardens. This exceptional Day Lilly absolutely captures the essence of God’s beauty in creation and its name, “Daring Dilemma” captures our human sin condition from which the goodness of God’s Grace frees us from and transforms us into the perfected image of His Son and our Savior, Jesus Christ. Don’t you just love when the perfection of God’s nature calls to the depths of our souls to experience the transformation that only He can bring to our lives. This is an example of how human beings can experience the power of God through beauty of His creation without ever have read or heard the Word of God. The power of God’s Creation speaks of His existence. How awesome is that. Lynn Polk Thinking about how a tiny seed goes through the process of transformation into a perfectly beautiful Day Lilly in the loving care of its Gardner as it is given the water and light of life. So, too, is our transformation from our Daring Dilemma unto Salvation and Sanctification process until the Day of Christ’s Return for us, His perfected Bride, when He takes us Home to Heaven our Eternal Reward. Wow! That’s OUR STORY, THE GOSPEL STORY told through the beauty of a flower. Thanks Lynn for giving us another reason to love God’s beauty. I feel you have given us the deeper thought so I will post more of our beauties on loan from God and hope that all of us take time to enjoy each gift we receive whether it be in the form of a wonderful flower, an ocean with its wonders, a smile from a child, a laugh from an elderly person who still finds joy in life, a quiet moment in reverence for Our Creator, or a kiss from a loved one. We can find comfort in times of need and given thanks for all things in every day life. (C) Copyright 2012-2019 Arline Miller with all rights and privileges reserved. Third party material referenced to original source. Permission required to use. We love to share our day lilies with our blog readers. This beautiful time of the year passes very quickly so it is our pleasure to open our garden gates to view the splendor of nature. (C) Copyright 2012-2019 Arline Miller with all rights and privileges reserved. The photos are property of Sipping Cups. Third party material is sourced to original location for reference source. PROMISE? JUST WORDS OR DO YOU MEAN THEM? In our lifetimes, we can make promises, sometimes the same one over and over. Today on the blog, let’s take on promises, what they mean, do we mean them, and what can happen if we break them. Promise me to read this to the end. Once we have the definition both as a noun (substance) and a verb (action) we can dive deeper into how we feel about both. I noticed in the verb definition the word assure is used. How comforting is assured to your mind? I like that word as it reflects an investment by the giver of commitment. When we promise, we are giving a vow of commitment, right? It is not a flippant remark but an assurance we will fulfill the statement. It is more than a casual statement but one made with all intentions of making it happen or keeping it as it is. Expectation from those remarks or as we are saying a promise is created. As the noun, I see the word declaration. What comes to mind when you hear the word declaration? To me, declaration sounds important, something we should listen to and also serious and almost statesmanship level. We look at wedding vows as a promise to commit to the union or as a bonding relationship. We think seriously when we make a promise……or do we? 1. Admit your mistake up front. Take responsibility for your end of it. It’s really not that hard. 2. Genuinely apologize for your misunderstanding, unsuccessful prioritization, forgetting, or just making your agreement less important than it was for your partner. 3. Ask your partner if this is a recurring disappointment, and if you’ve used those excuses before. If the answer is “yes,” commit to never using them again. 4. Recognize and validate your partner’s right to feel betrayed. Don’t argue, invalidate, or erase his or her feelings. 5. When you next make a promise or agree to a commitment, write it down with your partner, and put it where both of you can see it. 6. Only promise what you know you can do. Even if your partner seems disappointed at the time, he or she will learn to trust you when you do make a commitment. Bloggers Note: I grew up in a generation that your “word” was your bond and it was taken as a commitment. We shook hands, but even that was not necessary. A common phrase was “you can take that to the bank” so I take commitments very seriously in business and personal life as well. This has helped me in seeing more successful results. LIVE LIFE, LOVE LIFE, AND LIVE LIFE TO THE FULLEST BY SAYING WHAT YOU MEAN AND MEANING WHAT YOU SAY. (C) Copyright Arline Miller 2012-2019 with all rights and privileges reserved. Third party material, including photos, are sourced to the original location if known for credit references. Author sippingcupsofinspirationPosted on April 5, 2019 Categories UncategorizedLeave a comment on PROMISE? JUST WORDS OR DO YOU MEAN THEM? LIVING YOUR DREAM OR NOT? LIVING YOUR DREAM OR NOT? As I write on my third novel and wonder how I got here, I am made aware of a teenager remark that I made “One day I will write a book.” I didn’t say what kind, when I would write it or if I would even publish it and much less, write at least 2 more after the first one. With that introduction, I have multiple dreams and some of them I have already lived them. This is not an egotistical statement but one of encouragement. Have I lived any of these dreams to full rendition? Not hardly, but I am alive and I keep stepping toward each one a little more each day. My blog post today is to inspire you to turn your dream into a reality but looking at yourself with a hard look. Am I willing to sacrifice to live my dream? Am I willing to work without immediate gratification? Am I kidding myself with all of the excuses keeping you from making your dream come true? Everywhere you look there is bad news. Every day there’s something in your life that doesn’t work out the way you wanted it to. You can let those circumstances make or break you and too often we’re broken. Despite what you’re going through and despite where you are, you can live a life most people are only content to talk about. Here are five ways you can start living your dream life today. 1. Get honest about what you want from life. It’s scary to admit what you want to do and what you want from your life. You may want something that’s well outside of your comfort zone and even scares others in your life, but those dreams are in your heart and mind for a reason. Sit down and say it out loud. No matter how crazy it sounds — get real. 2. Use the Internet to research your dream. We live in a time where information is readily available. If you own a smartphone or have access to the Internet, you can research what it would take to make your dream life a reality. You don’t have to guess, chances are someone has mapped out what you need to know. 3. Put a plan together and take the first steps. If your dream life is going to become a reality, you’re going to need a plan. It’s amazing how many people “wing it” and end up failing. If you want to quit your job — you should have another job/business in your plan and an emergency fund. If you wish to lose weight — you should map out a healthy diet and exercise plan. You get the picture, but the plan, implemented over time, is how you’ll reach your goals. 4. Ignore self-limiting beliefs and negative people. Along the journey to your dream life, you’ll encounter doubt, fear, and self-limiting beliefs. There will be people in your life who don’t get it and will make their opinion known. If you listen to any negativeness, it will convince you what you want is impossible, and you won’t take the necessary steps to make your dream life a reality. 5. Choose to live life every day. You can miss so much that life has to offer with the chaos and busyness of life. It’s easy to get caught in routines and what feels comfortable. The problem is that all anyone is guaranteed is this moment. It’s important to live each day as if it were the last because it very well may be. It bothers me to see so many people who are not waking up every day and experiencing freedom in their life. I realize this is a short article among thousands you’ll probably read, but my hope is that this is a starting point. It will be hard, and it will take time. There will be many times along the way that you’ll feel like giving up — don’t. Your dream life is attainable, but more than that, it’s important. Life is short, and each of us only gets one life to live. Choose to believe in yourself. Choose to believe in what’s possible, and then do something about it. Start today and don’t give up until you wake up experiencing true freedom in every area of your life. I cannot even express the happiness and excitement when I saw the first published copy of my novel A Mistress, A Wife. As the story could not get out of my head, the second book was forming in my mind while I was completing the first novel. Tell Me Lies; Love Me Still was written mentally before I hit a key on the laptop. 1- Bookkeeper and sales gave me structure and balance along with having to come out of a shell to be successful in sales. I was not made to sit still and deal with figures and math all day so it gave me courage to make a change into sales. 2_Insurance agent, finance manager, and project manager taught me to calculate a person’s response and directional focus to move the sale into a close. I learned to pay attention to people’s actions and body language. I became a good listener and negotiator. 3-Interior Decorator gave me my first creative outlet and it allowed a hidden talent of color, texture, budgeting, and trade show experience. I had my first business with all of the glorified outcomes as well as the proprietorship responsibilities of managing, purchasing, development of accounts, customer service, as well as personnel supervision. My accounting experience was pulled and I was happy I had been a pea counter. Later as a blogger, I am developing a page dedicated to one of my first loves. 4-Project Manager combines all of the above experiences and no matter which facet of the project I am involved in, I draw from all of them. I listen intently to the requests and needs. I summarize and budget paying a lot of attention to the details. I use my creativity to display, lay out, and market phases of the project. 5-Author and Blogger is the ultimate dream and I live it pulling from all of the experiences in life to blog and of course, even in fiction there is a lot of research and creativity is demanded to complete the dream. As soon as I complete this blog post, I continue writing on the third book and final one in the series, Reflections of Love and titled Riddle Me This, Love or Bliss? With sadness in my heart, but more love than sadness, the great friend in the middle, Linda Christian was one of my biggest cheerleaders and after she read a few chapters advised me to GO FOR IT. The lady on the left, Joyce Hanna Ricciardelli and the one of the right, my redheaded fireball friend from childhood, Jan Malphus Downing have been with me on my journey and have some lively lives themselves. I am fortunate to have so many friends and family that encourage me on a regular basis and wish that I wrote faster. (C) Copyright Arline Miller of Sipping Cups of Inspiration with all rights and privileges reserved. Third party material. including photos, is sourced to original location for credit reference. Author sippingcupsofinspirationPosted on March 30, 2019 March 30, 2019 Categories Uncategorized2 Comments on LIVING YOUR DREAM OR NOT? Let Me See if I Have This Straight…. My flag of the country I love is now nothing more than a rag. With no respect which you would allow to burn and drag? Is being taken over by the very hate and slavery you defame. Unless I agree with all of the propaganda you vilely speak today? While you stand to speak surrounded by guards who are armed. And you don’t feel this warrants any hard resistance and fights? And give to those who will willingly do what you say and not care. From Americans who have given their blood, sweat and tears. We pay taxes, yes we begrudgingly do to take care of me and you. We love our land and no matter how hard you try, we will stay true. You can stand and make a lot of stupid and nonsensible rhetoric. Come election day, when the people stand and think patriotic. Votes for our country’s basic loves and beliefs will come through. Others to Stand Up for Our Country’s Freedom and Standards. DO YOU SMELL A SKUNK? With so many things going on in our country, politically and many back door deals which can and will affect our way of life, I have been watching and taking notes. With this said, I have always had a way of applying my observations as simple things that occur in life. Folks, I smell a skunk…….cute as a skunk is in nature……they stink and are not afraid to use their potent weapon on those who try to harm them. My inspiration for today’s blog….my post of my Facebook page. As I see it, in life we are going to encounter the human version of the skunk (metaphorically speaking) and a lot of them are cute, adorable in looks and sometimes mannerisms too, and have a charming demeanor. They walk quietly and slowly entering our lives without giving us any warning about that deadly spray. They can allow us to pet them, feed them, and all the while we are beginning to trust and love them. They seem HARMLESS! But remember my quote. If it looks and smells like a skunk, it usually is a skunk and just when you think it will not harm you, if they feel threatened, they will make you regret you ever touched them. Now for my deeper thought…..I am not picking on the skunk. I am warning about the people who come into our lives for all the wrong reasons. Maybe it is during a vulnerable time, maybe it is after another person who has hurt us, or maybe we are not at our strongest and our instincts or observation ability has been diminished by whatever life has handed us to deal with but for whatever reason, ALL of us can be fooled by the cuteness but at some point in our lives, we have to acknowledge that even if it is cuteness overload, watch for the signs that all “skunks” show. We have the former experiences to draw from, the similarities that have been exhibited by those who have hurt us before or even someone we love. Usually the scent is the same among skunks so watch out for that Uh Oh smell! (C) COPYRIGHT 2012-2019 Arline Miller of Sipping Cups of Inspiration with all rights and privileges reserved. Third Party Material including photos are sourced to original location for credit references. Author sippingcupsofinspirationPosted on March 19, 2019 Categories UncategorizedLeave a comment on DO YOU SMELL A SKUNK? Arline Miller, blogger and author welcomes you to relax and read my blog which has been in existence since 2012. 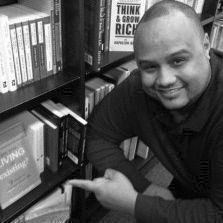 Living a positive life but experiencing life to the fullest, I share many stories filled with life lessons. Please add your comments and feedback to enhance our positivity of life. 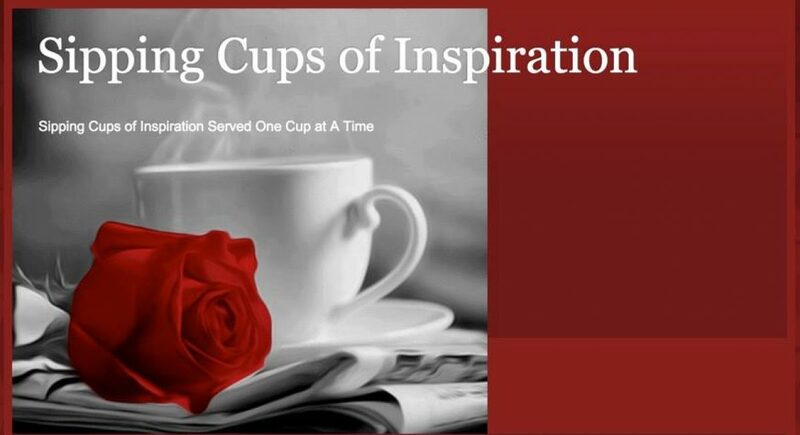 Sipping Cups of Inspiration Blog at WordPress.com.